Professional bodybuilders Jay Cutler and Arnold Schwarzenegger both used a method to pack on muscle – and it’s not what you think. 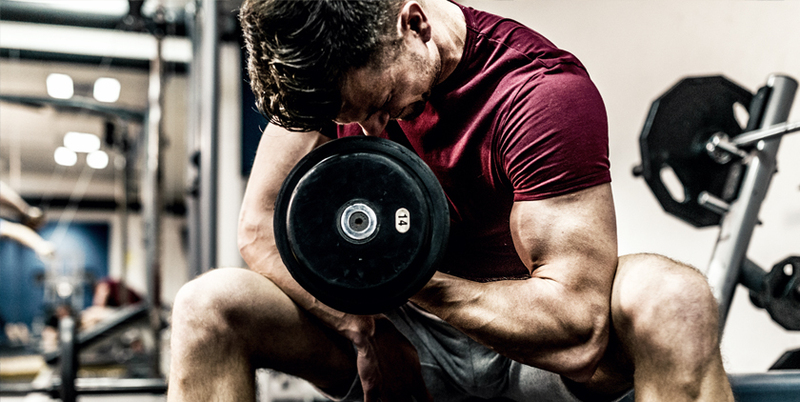 Burn sets are a classic muscle growth technique that involve rapid, lighter-weight movements done at the end of a set to extend the time under tension and induce greater metabolic stress. How do burn sets work? A burn out set is used to totally destroy an already fatigued muscle, depleting it as much as possible of any last glycogen and giving it every reason to grow. If you reach the end of your workout, and your muscles aren’t completely exhausted, you probably aren’t working hard enough. However, if you work each muscle group to positive failure every week, burn sets are one way to force your body to keep going. By increasing the time under tension, you can keep blood in the area a few seconds longer, which recruits more fibers, drives more nutrients to the muscles, and stimulates more growth. The full-blown pump also triggers a number of key anabolic responses. How do I add burn sets to my workout? After the last set of your exercises for a body part, reduce the weight by 50%, and with no rest at all, keep going until you physically can’t anymore. For example, if you’re working biceps and triceps together, you’ll perform a burn-out set after the last set of your biceps workout, then another burn-out set after the last set of your triceps workout. So, say your last exercise of the day is bicep curls with 20 lb. dumbbells. As soon as you complete the last rep, you’d set them down, grab the 10 lb. dumbbells and keep going. If you have to rest, limit it to 10-15 seconds. Can I use burn sets on any exercise? Try to use exercises that won’t result in any injury. For example, performing a bench press burn out set could pose a serious risk if you are already fatigued. You will also likely experience a high degree of form breakdown, which can be hard on the shoulders. All readers are advised to consult their physician before beginning any exercise and nutrition program. BPI Sports and the contributors do not accept any responsibility for injury sustained as a result of following the advice or suggestions contained within this content.